It is a Data Recovery Service for single Desktop or Laptop Encrypted Hard drive. This service is required after Data is lost. It is a Data Recovery Service for single Desktop or Laptop Encrypted Hard drive. This service is required after Data is lost. 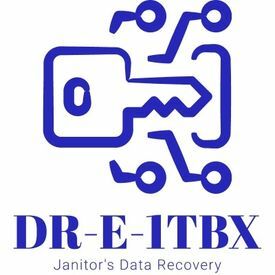 Product ID DR-E-1TBX MRP (Inclusive of Taxes) 48999/- Capacity Up to 1 TB Drive Type IDE / SATA / SAS Operating System Windows Type of Case 2nd Case only TAT (Turnaround time) 7-25 Working Days Encryption PGP/Safe Boot /Bit Locker /Pointsec 100% Advance Payment Your Data is Confidential Refundable, (In case of No Recovery is done) Disclaimer Data Recovery is on the Best Effort Basis, 100% Data Recovery is not Guaranteed. Hard disk Warranty will be void. Cases Covered Deleted file Formatted BAD File System BAD Sector Slow Reading Firmware Damage PCB Damage No Spinning Tuck Tuck Noise Stuck Head Seized Motor Wrong Capacity Exclusion: × Password Protected device. × Spares/Parts Required for Data Recovery. × Pickup / Drop Service. × Express Service. Step by Step Process:1. Buy the Pack online or Offline 2. Do send Following a. Faulty Device. b. Spare Blank Device (same or more capacity) to copy recovered data. c. Visiting Card.